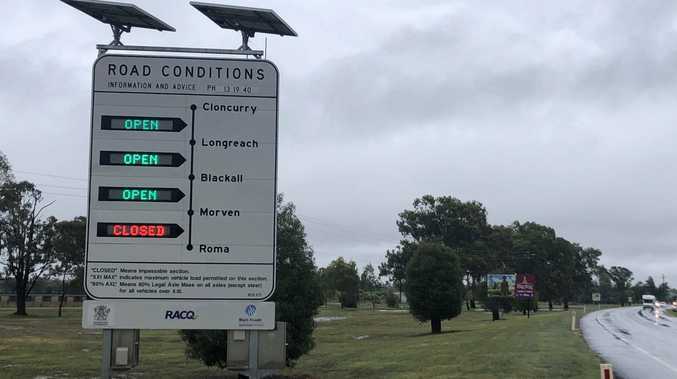 The girl from country Queensland who was overlooked by Hockeyroos has sent the Black Sticks into the Commonwealth Games gold medal match. 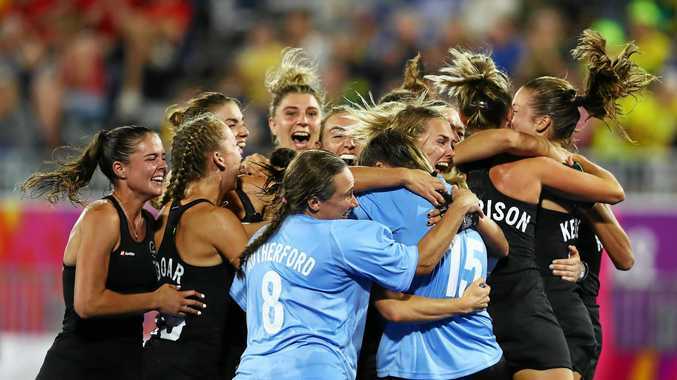 Grace O'Hanlon, the goalkeeper who grew up playing junior hockey for Brothers Maryborough and qualifies for New Zealand through her father, was thrust into the Black Sticks goal after 250-plus game veteran Sally Rutherford's heroics during a scoreless semi final. Rutherford, one of the country's most capped players, has been one of the biggest performers in the New Zealand team. But after the Black Sticks' attack failed to produce a goal in regulation time, a worrying trend that now stands at 180 minutes, O'Hanlon, the side's penalty specialist, carried the hopes of an entire nation on her shoulders when she padded up and stared down the English attack. "It's a specialty of mine so I knew that's what I was there for," O'Hanlon said. "(England's) Maddie Hinch is the best goalkeeper in the world at the moment, so I knew she was going to be hard to beat for our girls." First it was Alexandra Danson, then Sophie Bray, both members of Great Britain's 2016 Olympic gold medal-winning team. O'Hanlon beat them both, the 25-year-old putting her body on the line to keep New Zealand's dreams alive. Hannah Martin finally scored for England, but up the other end, Samantha Harrison made it 1-1. O'Hanlon saved efforts from Hannah Toman and Hollie Pearne-Webb, allowing Stacey Michelsen's goal to seal the semi final win. "I work really hard on making sure I do my homework," she said. "For example, I have watched Alex Danson do plenty of shootouts and have seen all of her options. She's very good, but good players stick to what they know." The decision of Black Sticks coach Mark Hager, the former Olympic bronze medal-winning Kookaburra and fellow Maryborough product, to turn to O'Hanlon was vindicated, and in the process delivered the former aspiring Hockeyroos stopper the highlight of her career. O'Hanlon spent two years in Perth trying to crack the Hockeyroos, but in January last year bought her one-way ticket to Auckland and earned a place in the national squad's set-up. "Their Rio (Olympics) keeper Rachael Lynch didn't retire and Ashlee Wells hasn't retired," she said at the time. "I thought if I wanted to play international hockey it was time to act." She was scouted by New Zealand's selectors, who contacted the Brothers Maryborough junior during her stint as ACT Strikers' goalie in the Australian Hockey League. In January this year, O'Hanlon described the life-changing long distance move, the second of her short career, to be the best decision of her life. On Thursday night, O'Hanlon repaid that faith.